As an agricultural employer, you face many business challenges and you must comply with a number of employment-related laws every day, especially if you work with labor-intensive crops. Ensuring that your employment policies and pay practices comply with the law not only helps you avoid liability for potential labor violations, but keeps your workforce productive and motivated. Simply stated, complying with labor laws has positive results for your bottom line. Labor laws are not only good for workers but for employers as well, and for our economy as a whole. Complying with agricultural labor standards and making sure everybody is playing by the same set of rules helps protect workers and ensures a level playing field for law-abiding employers — those who treat their workers fairly and pay proper wages, but cannot afford to compete against those who do not. and compliance assistance efforts, as well as full and fair enforcement of the law. • The Fair Labor Standards Act (FLSA) contains federal minimum wage, overtime, recordkeeping and child labor requirements for covered agricultural employers. • The Migrant and Seasonal Agricultural Worker Protection Act (MSPA) protects migrant and seasonal agricultural workers by establishing employment standards related to wages, housing, transportation, disclosures and recordkeeping. The MSPA also requires farm labor contractors and farm labor contractor employees to register with the U.S. Department of Labor and to obtain special authorization before housing, transporting or driving covered workers. • The H-2A visa program establishes standards for recruitment, wages, housing, transportation and recordkeeping for employers of temporary, non-immigrant agricultural workers admitted to the country under section 218 of the Immigration and Nationality Act. • The field sanitation provisions of the Occupational Safety and Health Act establish minimum standards for covered agricultural settings for toilets, potable drinking water and hand-washing facilities, and provide information about good hygiene practices. To ensure that workers in the fields are kept safe and paid properly, WHD complements its enforcement efforts by reaching out to employers to educate them about their rights and responsibilities. The new “Cultivating Compliance – An Agricultural Guide to Federal Labor Law” video and booklet for agricultural employers provide simple and comprehensive information about the requirements governing agricultural employment, covering topics such as wages, housing, transportation and field sanitation. As a law enforcement agency, WHD takes seriously its responsibilities to ensure compliance with the law, so investigators make sure to gather accurate and sufficient evidence of an employer’s level of compliance. If violations are found, WHD investigators work with the employers to identify solutions and methods for coming into compliance. Every year WHD investigates hundreds of growers and harvesters throughout the nation. In fiscal year 2015, WHD’s Tampa District Office, which is responsible for much of the agricultural area in Central Florida, investigated more than 120 agricultural employers. 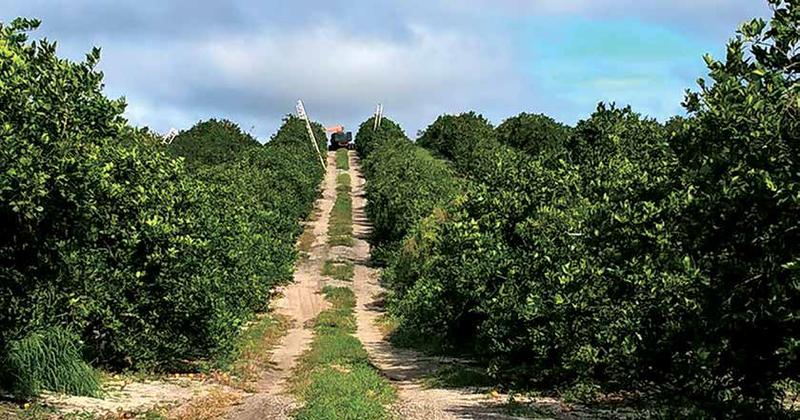 A little more than half of those employers were in the citrus industry. More than 77 percent of investigated agriculture employers had violations that resulted in over 1,000 workers being owed back wages. Agricultural employers using migrant and seasonal employees most often failed to provide wage statements to workers, maintain records, pay wages when due, meet minimum housing safety and health standards, and disclose employment conditions. Investigations of H-2A employers yielded similar results, but also included transportation safety violations and failure to maintain records indicating why employees worked fewer hours than disclosed in their H-2A contracts. As a result of these violations, the Tampa District Office found more than $360,000 in back wages due to more than 1,100 agricultural workers and assessed more than $725,000 in civil money penalties. In fiscal year 2016, the Tampa District Office continues its agricultural initiatives — including efforts in the citrus sector — to ensure compliance among employers such as growers, farm labor contractors and shipper/packers. Investigators will carefully review time and payroll records, thoroughly inspect housing units, vehicles and field sanitation facilities, and interview managers, crew leaders and workers. If violations are found, WHD will pursue all necessary corrective measures, including payment of all back wages found due, assessment of liquidated damages (if applicable), assessment of civil money penalties and, if necessary, litigation. WHD’s Tampa District Office is focused on providing regular informational outreach sessions to help agricultural employers and associations understand their obligations and provide best practices advice. WHD is committed to ensuring compliance through strong enforcement, as well as working with employers and industry associations to promote long-lasting compliance. In the coming year, the division will continue to collaborate with the citrus industry to provide education and outreach while also reaching out to juice processing plants to ensure compliance among growers and farm labor contractors within their supply chains. You can contact WHD’s Tampa District Office at 813-288-1242. Get more information on the FLSA and other wage laws by visiting www.dol.gov/whd or calling the division’s toll-free helpline at 866-4US-WAGE (487-9243). This article was provided by the U.S. Department of Labor’s Wage and Hour Division in Tampa.